* Slice Avocado thinly and set aside. 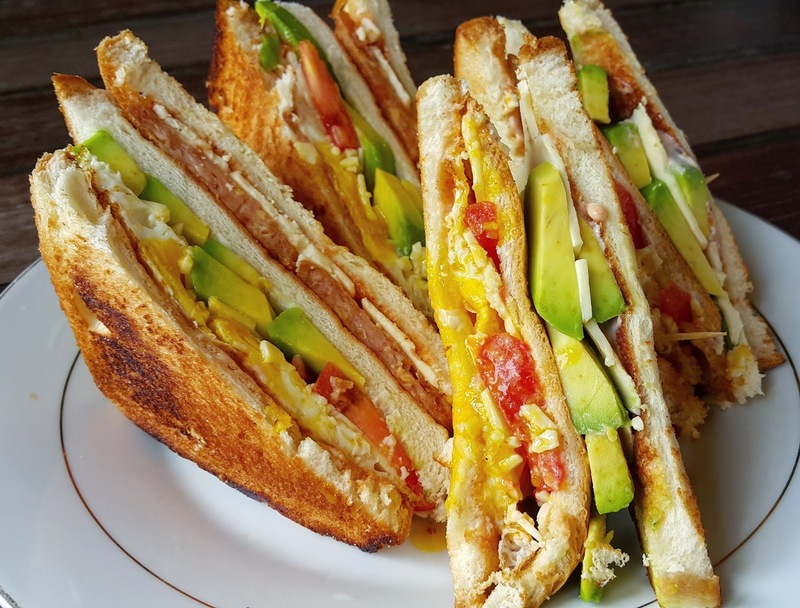 * Place 1 bread on a serving plate, place egg, slices of tomato and slices of avocado, top with 2nd toasted bread. Add slices of fried luncheon meat and cheddar cheese, top with last piece of toasted bread.